You know when you hear two people talk about an experience they've shared? Maybe it was a camping trip or an amazing restaurant. It may be the realization that they have both been to such and such place. You seem them immediately connect, eyes light up and they speak to each other in this fluid speech about their experience. You feel like they are in some sort of special club and you are jumping up and down at the outer gates saying, "I want to be a part of the club too! Let me in!" Well, that is how Santorini felt to Colin and I. I can't put it into words (I'll try) but it's something you have to experience. If you have been, you know what I mean! It's a place that welcomed us with a big warm hug. It is place where we didn't need a car, just an ATV to drive all the windy roads feeling the wind in our faces next to the Aegean Sea. It's a place with no street names where the roads are narrow and homes are laid out in no order. If we wanted to get anywhere specific we usually have to get directions from a local. We were up high looking over the Caldera (the cliff side of the island) or we were laying on the warm, black sandy beaches. 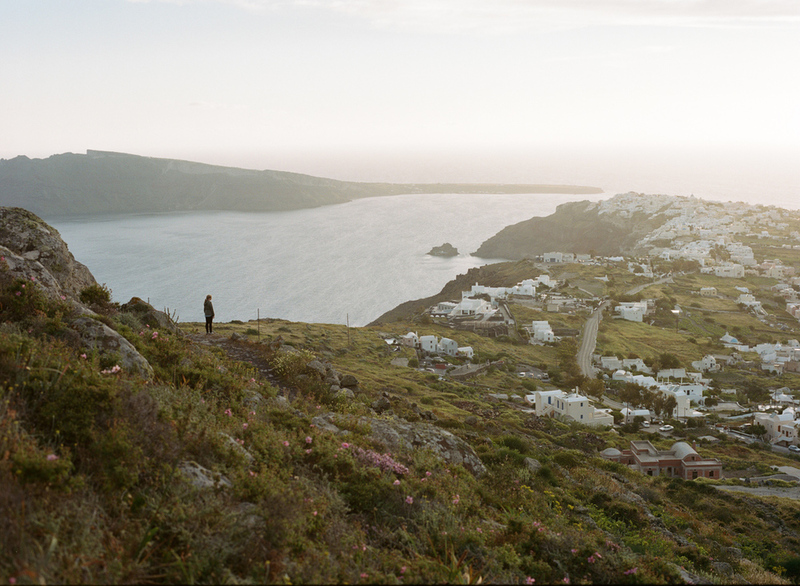 We found places packed with energy and people and peaceful deserted corners of the island off the beaten path. It is a place where we didn't have to speak the language to love and be loved. We walked into a stranger's home and they sat us down, fed us and talked to us like we understood Greek. It's a place where the sun's glow showers everything with gold where we remember thinking this is where we are supposed to be.